Codemasters has published a pretty unenlightening teaser video for GRID 3 on YouTube. Actually you don't even get to see even a single car in the video. However we definitely know a number of things from the number of visual cues contained within this video. Also Codemasters has filled in a tiny bit of detail about the upcoming game by way of a forum post or two on NeoGaf. The video trailer, entitled 'Brace yourselves… Racing is Coming', appeared on the GRID YouTube channel so it must pertain to a GRID game. The burning tracer trails, with car engine noise, video concludes with the GRID logo, as seen in previous titles in the series. We are directed to links for the GRID game social media sites. The date of 22th April 2014 appears both in the video and in the video information field on YouTube. We are invited to look up info and interact online using the hashtag #racingiscoming. It is referred to as "big news" on the Codemasters blog where readers were also asked to check out the GRID social media pages. 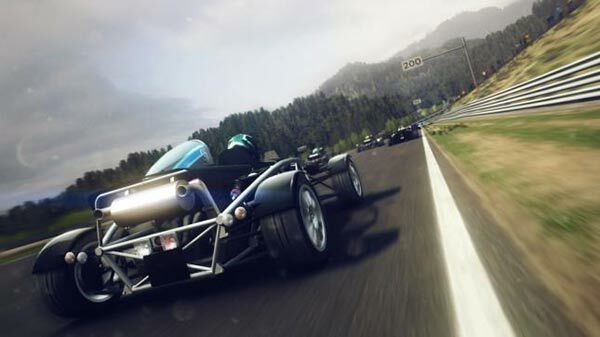 As well as the above, Codemasters interjected in a forum where some comments were dismissive of the hint that a completely new GRID game is one the way. A NeoGaf registered user, whom it is assumed represents Codemasters, said "Just a heads up, this isn't DLC :)," CodiesLoore also added a tantalising "Cockpit view? We listened." Later on CodiesLoore returned to the forum to stamp out another pessimistic rumour – "Also, this isn't a port, just to dismiss those rumours :)". The forum member also gave some specific game info on the upcoming title's audio, writing "Yes, it has great Audio, the team have done a top notch job on it :)"
Grid 2 was so dissapointing, I have little faith in this one. Still haven't got round to getting grid2 yet as I read so many bad reviews on forums etc… RD:Grid is one of my most played games in the last 10 years, in fact I just installed it on my htpc this week. Hope a new one is good.